A great rally on the City Hall Steps on Saturday yesterday, 9th December. Over 100 people there – including many different faces and many students. The banner – which read ‘Trump: Jerusalem is not yours to give away‘ made a great focus and made it really clear to all why we were there. 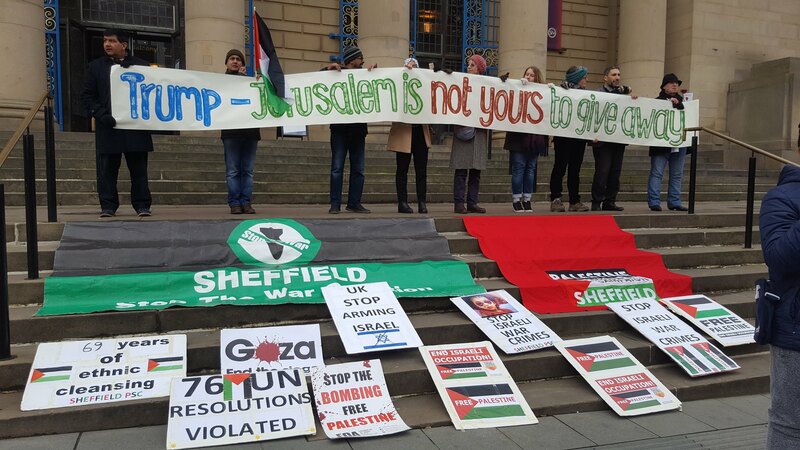 Amongst those holding the banner were a man from Syria, a man from Algeria, a young Yemeni woman, a British Jew, a Palestinian, two students – Sheffield’s humanity in action. There were some excellent speeches from students, from a representative from Labour Friends of Palestine Pearn,who has just returned from her first visit to Palestine, and a beautiful song by a Yemeni teenager were highlights . So the clear thing here is, just like Palestine itself was not Britain to give away, so Jerusalem is not Trump’s to dispose of. Keeping our spaces inhabitable for future generations is a problem world wide. 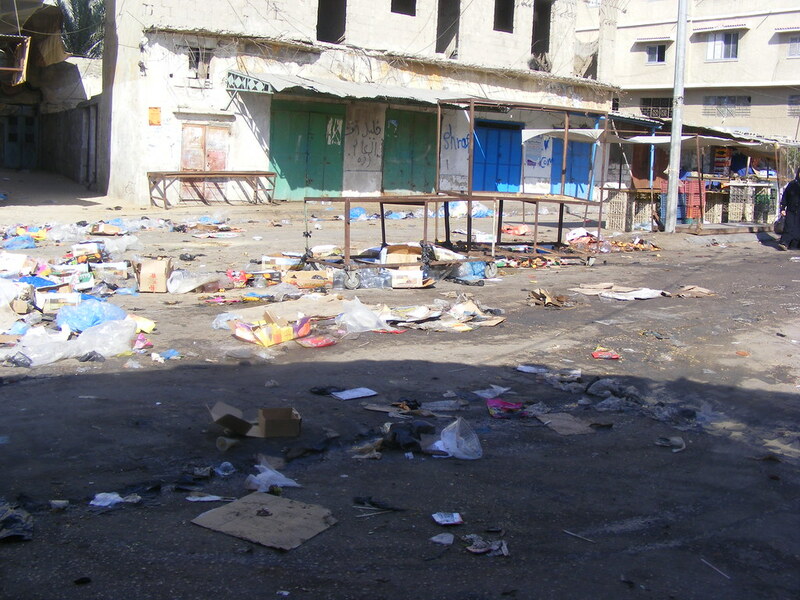 For Palestine and Palestinians, the devastating impacts of occupation is no better demonstrated than with the imperilled state of the water supply in Gaza. Sheffield PSC are putting on a number of events around Balfour this year as will other organisations, offering a range of perspectives. Please see below for details. David Cronin is a contributing editor with The Electronic Intifada, a website focused on Palestine. 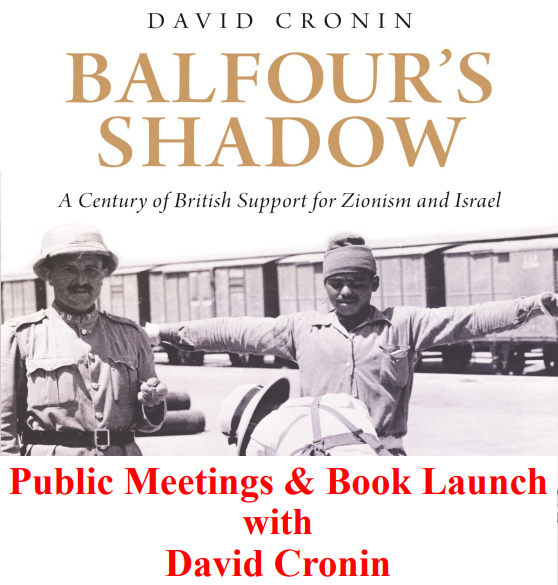 His new book is Balfour’s Shadow: A Century of British Support for Zionism and Israel is out now and he is engaged in a tour to speak about how Britain has gone from giving declaratory backing to the Zionist movement to becoming actively complicit in Israel’s crimes. 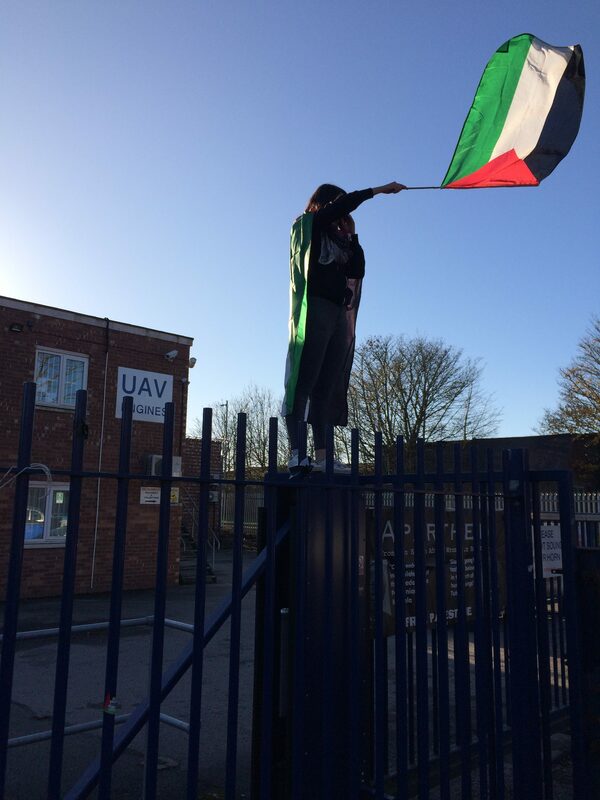 Please come and join this discussion to open out the Balfour season in Sheffield. 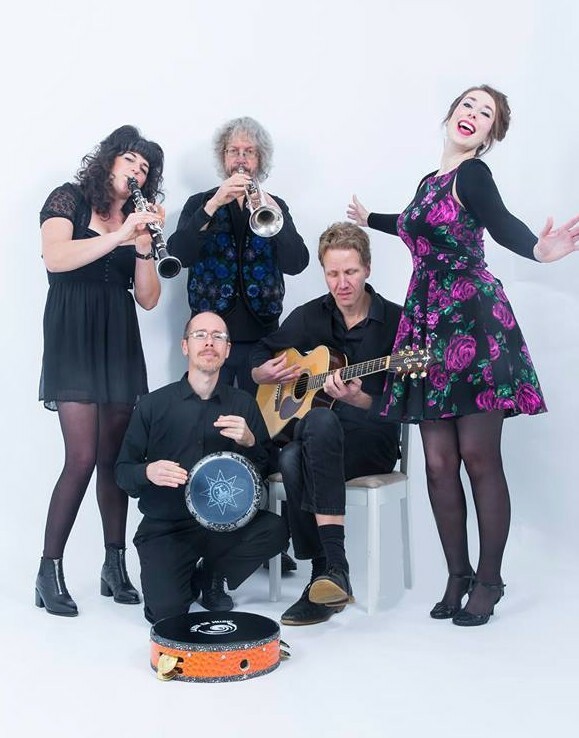 Chai for All will be joined by virtuoso clarinetist and kaval (Bulgarian flute) player Katie Stevens, renowned storyteller Michael Loader, British-Israeli platinum record producer Mark Smulian and the voice of Palestinian poet Alissar Amali – melding klezmer Arabic and other idioms together in music composed and arranged by German-born Knud Stuwe. There will be a post-show panel discussion to explore the various perspectives on the Balfour Declaration and give an opportunity for audience members to share their personal stories evoked by the performance. 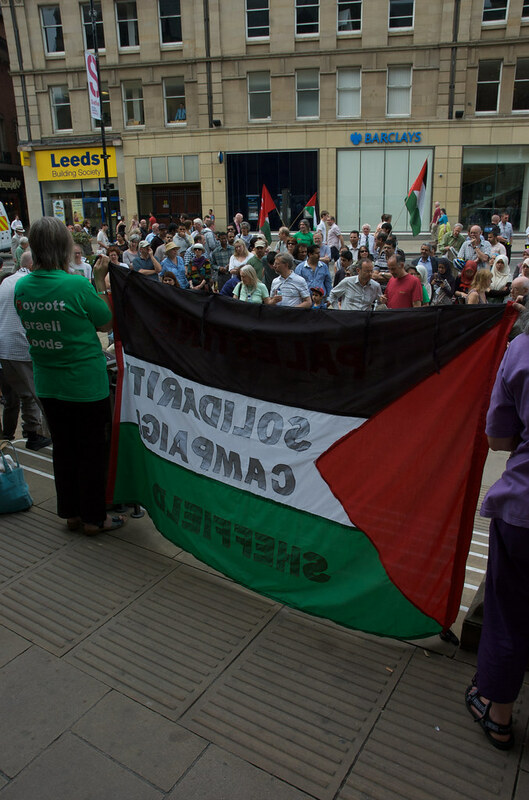 In the first of a series of events to understand the impact (and certainly not celebrate) the Balfour declaration, Sheffield PSC are partnering with Kairos Sheffield, to welcome Robert Cohen who offers an anti-Zionist but religious Jewish perspective. Mr Cohen is an engaging and provocative speaker and blogger and well worth coming to see. Possibly the worst thing a newspaper can do to a Muslim woman is to publish a picture of her under the headline “I am proud to be called a terrorist”. This is exactly what the Mail on line has done to Malaka Shwaikh. Malaka is currrently at Exter University, studying under Ilan Pappe , a Jewish Israeli Professor; she is in no way anti-semitic. 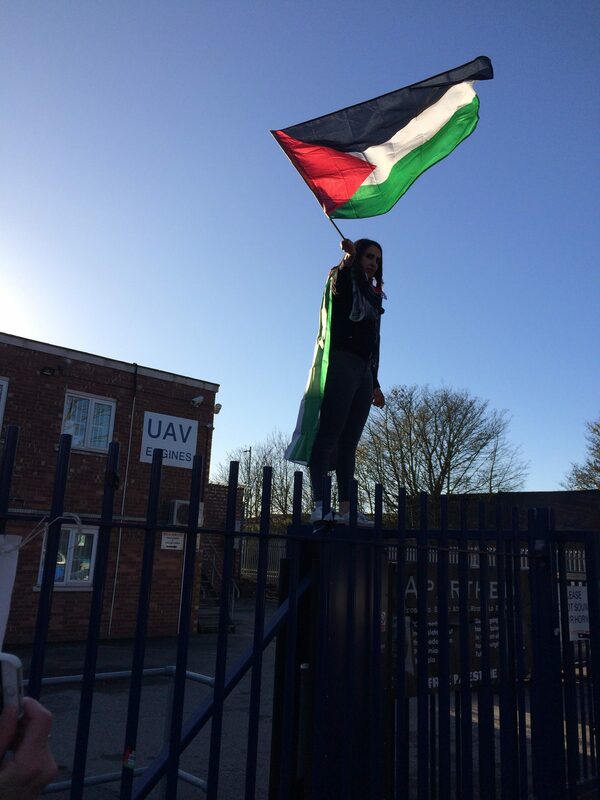 Before she moved from Sheffield, Malaka was a member of Sheffield Palestine Solidarity Campaign. She is an intelligent articulate active anti-racist. What has stirred the ire of the Pro Israeli and Zionist campaigners is that she is Palestinian, articulate and effective. The full sentence she used was: “If terrorism means protecting and defending my land, I am so proud to be called terrorist. What an honour for the Palestinians!” This was said in the context of Israel’s 2014 bloody onslaught on Gaza. The wilful ripping out of part of the sentence completely misrepresents her position. 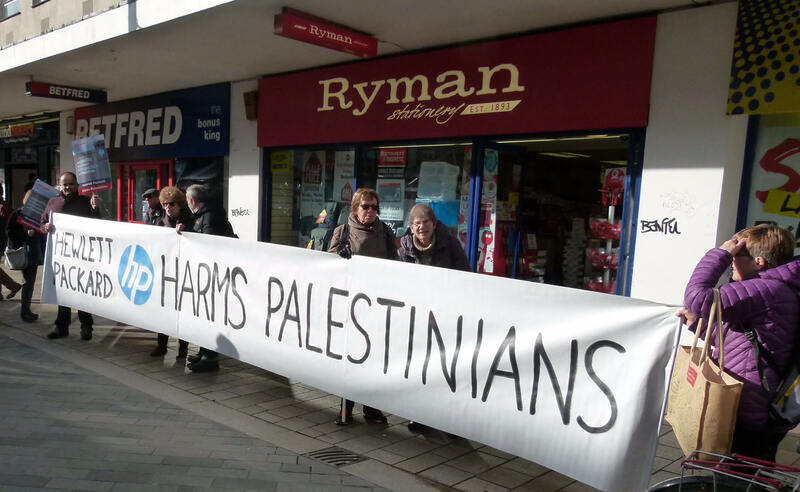 The attack on Malaka is part of a coordinated attempt to discredit pro-Palestinian campaigners. Israel has become increasingly right wing and xenophobic. It is feted by white supremacists and Islamophobes. 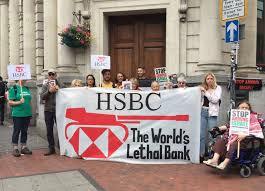 Its supporters desperately hope to drown out criticism of Israel’s illegal land theft by false allegations of terrorism and anti Semitism. If the Daily Mail’s malevolent distortion is allowed to stand Malaka’s ability to travel, to return to Gaza, and live a normal life will be made near impossible. It will also embolden the Mail for further attacks. 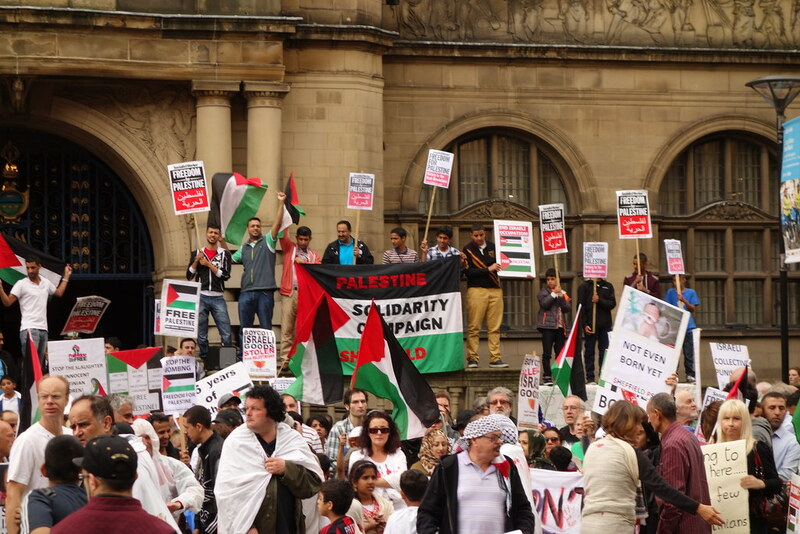 Read the statement by Sheffield PSC. 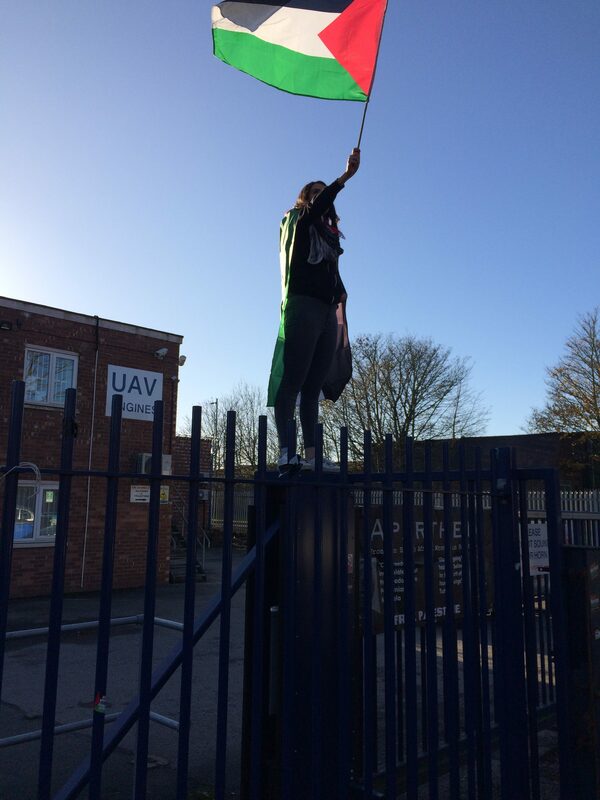 Raise the issue in your place of worship, trade union or community group, classmates etc. The Mail Online, an offshoot of the Daily Mail, along with a some other on-line publications and abusive emails fanned by the Campaign Against Antisemitism, are currently alleging that Malaka, presently a Ph.D. student at Exeter University, under the supervision of the Israeli born Professor Ilan Pappe, is a supporter of terrorism and is antisemitic. Why, some might wonder, but clearly not the Mail or the Campaign Against Antisemtism, would an anti-Semite choose to study under a Jewish professor? There is clearly more to this story than what Malaka’s detractors would like people to believe. The Mail Online launched the campaign against Malaka, stating in bold letters: ‘Palestinian student, 25, tweets “I am so proud to be called a terrorist’ sparking an anti-Semitism investigation at the University of Exeter.” The tweet, which had been hacked, was doctored. The full sentence reads: “If terrorism means protecting and defending my land, I am so proud to be called terrorist. What an honour for the Palestinians!” Moreover, this was said in the context of Israel’s 2014 bloody onslaught on Gaza. A reference by her to the Holocaust was similarly distorted by not reporting her tweet stating that it was a horrific crime. activism. As well as being a proud Palestinian committed to justice for her people, she is also a principled opponent of all forms of racism. She recently helped to organise a march at Exeter University to protest against swastikas and ‘Rights for Whites’ slogans daubed on walls in halls of residence. 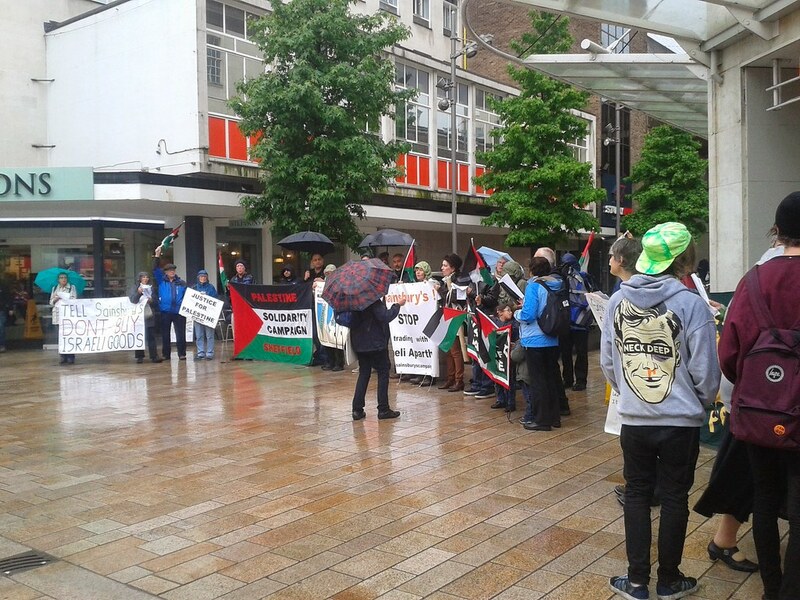 The attack on Malaka is part of a coordinated attempt to discredit pro-Palestinian campaigners. Malaka, herself, had been subjected to earlier smear campaigns when she was a student at Sheffield University. As Israel has become increasingly rightwing and xenophobic, feted by white supremacists and Islamophobes, its supporters desperately seek to regain public sympathy by accusing its critics of anti-Semitism and terrorist sympathies. It will not work. Israel’s record is there for all to see and Palestinian activists and the solidarity movement will continue to grow in numbers and in effectiveness as they have over the past three decades. We, in Sheffield, know Malaka well from the period that she spent in the city as a student. We condemn her vilification and fully support her stand against it. 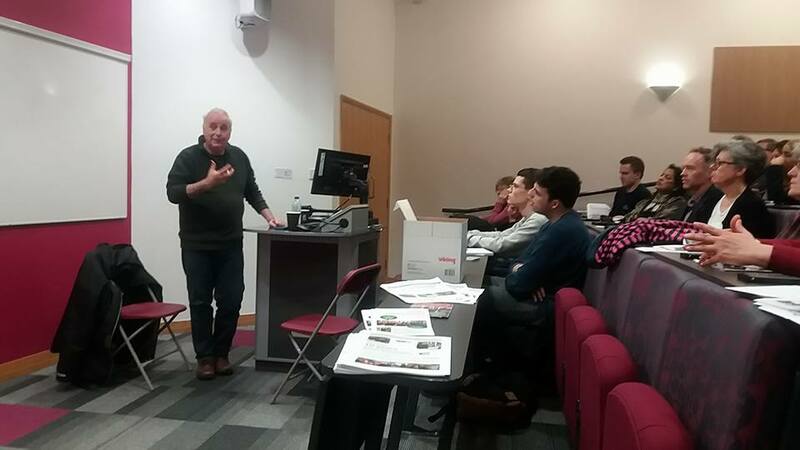 Professor Ilan Pappe addresses an audience at Sheffield Hallam University on Monday 20th January. He makes the point that Trump may be more energetic in his anti Palestinian stance but essentially the pro Zionist approach taken by America is systemic and not dependent on a single person. 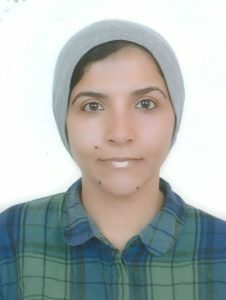 Kholoud Al Ajarma is a Palestinian refugee from Aida Camp, Bethlehem and is coming to Sheffield next week to speak to us about her experience of working with refugees. She has lots of experience working with young refugees, encouraging them to speak out and assert their rights. 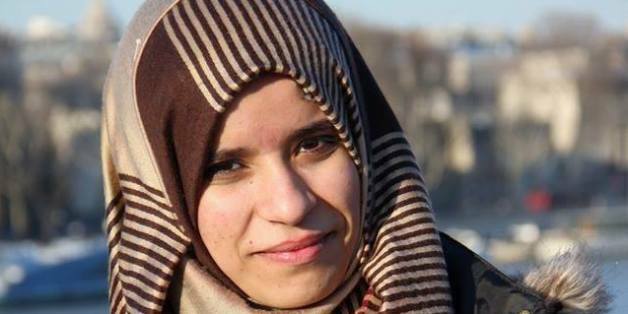 She worked in the Lajee Centre, Aida Camp, and in other camps across the West Bank developing programmes for the youngsters, particularly in media and photography. 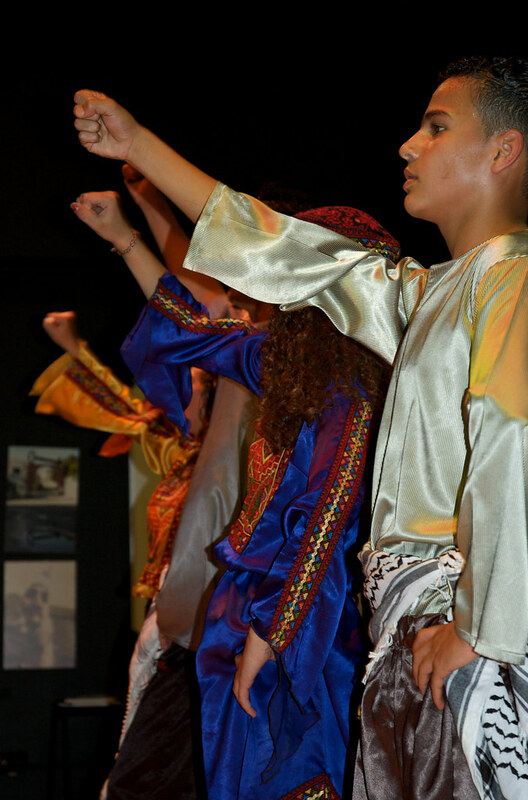 She has travelled with the Lajee dancers on international tours and acted as compere, giving voice very strongly to the political significance of dance, an act of cultural resistance to occupation and oppression.